Holy smoking’ Joe this is one hot lipstick! With tanned skin? With an effortless lick of mascara and a slightly defined eye? It’s just unbeatable! Check out my pics from Greece – I did a ‘bright lips’ tutorial video too, so keep a lookout for that! These photos haven’t been tampered with, lighting-wise or in my computer – they’re a little grainy because I took them with my iPhone in a dark room. The brightness of the lipstick is all real! I absolutely adore it – and you know that I’m not usually a bright lipstick type of girl! 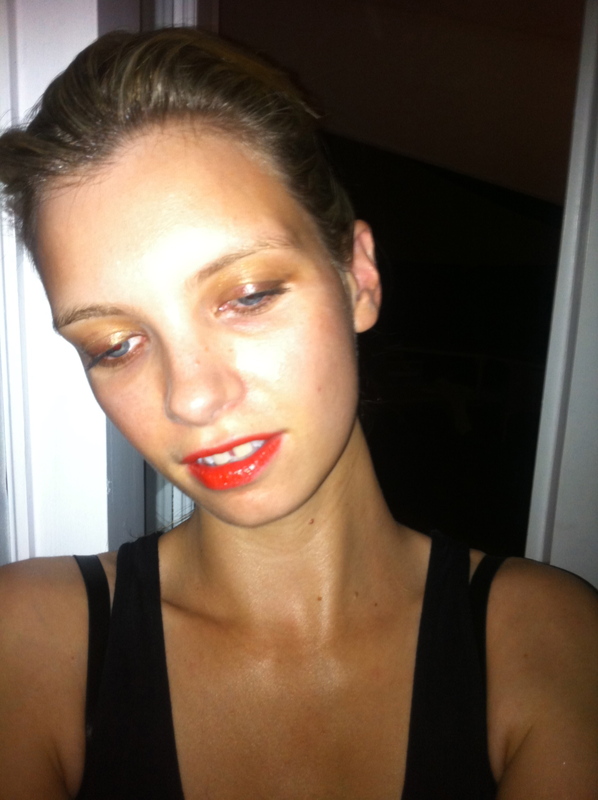 It’s a fiery bright orange that’s really verging on a very vibrant red – so flattering and surprisingly easy to wear! I think I may have had a tiny touch of gloss on over the lipstick in these pictures, but if you want to see it applied on its own, watch the video which will be out next week sometime. 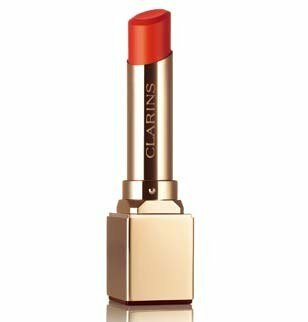 Clarins Rouge Prodige Lipstick costs £17 from counters nationwide (including here at Boots) or (sssh) it’s £15.30 delivered from FeelUnique.